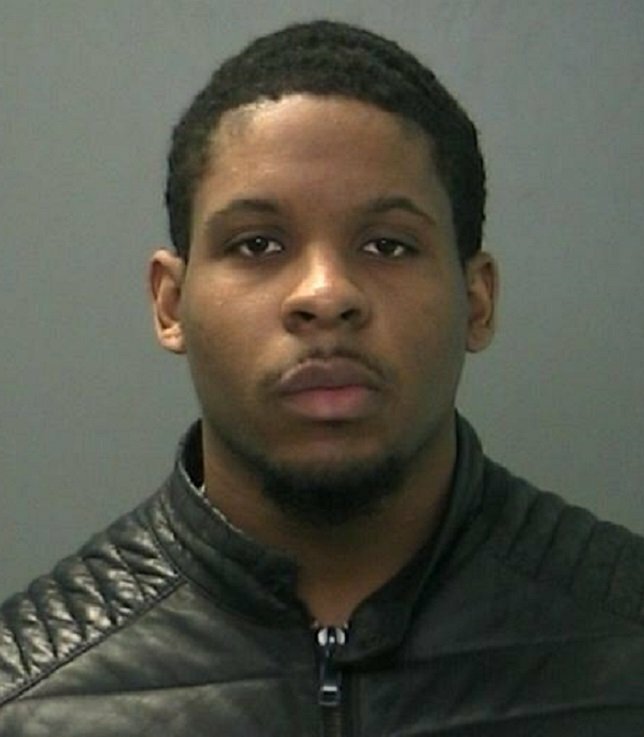 Duquan Faulk of West Babylon was arrested and charged for Criminal Possession of a Weapon, Criminal Possession of Stolen Property, DWAI, Aggravated Unlicensed Operation of a Motor Vehicle and Leaving the Scene of an Accident without Reporting. Deer Park, NY - December 10, 2015 - Suffolk County Police First Squad detectives arrested a man after he fled from a motor vehicle crash in Deer Park and a stolen weapon was found in his vehicle last night. Duquan Faulk, 21, was driving a 2016 Chevrolet Malibu westbound on Long Island Avenue when his vehicle passed through a steady red traffic light at the intersection of Deer Park Avenue and struck a 2006 Dodge caravan that was traveling southbound on Deer Park Avenue at approximately 10:33 p.m. Following the crash, Faulk exited the vehicle and fled on foot. Suffolk County Police First Precinct Patrol officers pursued Faulk on foot and located him a short time later. Faulk was arrested and charged with Criminal Possession of a Weapon 2nd Degree, Criminal Possession of Stolen Property 4th Degree (for a loaded handgun that had been reported stolen in Virginia), Driving While Ability Impaired by Drugs, Aggravated Unlicensed Operation of a Motor Vehicle and Leaving the Scene of an Accident without Reporting. The driver of the Dodge was transported via Deer Park Fire Department to Good Samaritan Hospital Medical Center in West Islip and was treated for non-life-threatening injuries. Faulk, of West Babylon, is being held at the First Precinct and is scheduled to be arraigned at First District Court in Central Islip on December 10. The investigation is continuing. Detectives are asking anyone with information to contact the First Squad at 631-854-8152. Subject: LongIsland.com - Your Name sent you Article details of "Man Arrested after Fleeing a Two-Vehicle Crash in Deer Park"